With the game's imminent release, we give you one more batch of clips. Recently, Japan received a third 30-second commercial, full of story teasing and the re-emergence of the mysterious female scientist. Japan Correspondent Matt Walker has the translation for you. Additionally, the English version of the action-heavy "Story Trailer" has been posted by Nintendo, with a quick look at the members of the Federation's 07th Platoon. A new documentary has the game's directors talking about its development. A recently-released mini-documentary entitled "Metroid: Other M - The Challenge of Project M" features three of the driving forces behind Metroid: Other M discussing its development. Series creator Yoshio Sakamoto, D-Rockets' Director of Presentation Ryuzi Kitaura, and Team Ninja's Yosuke Hayashi detailed their participation in, and philosophy regarding, the Other M project. The Shin Megami Tensei and Trauma Center developer will no longer operate as an independent developer/publisher. It's a quiet week, with all titles fitting on one Nintendo Points card, should you choose to redeem it so. This week brings us only one WiiWare and three DSiWare games, covering fewer subjects than the usual list of far and wide venues. We're only going to Elastic Land, space, notebooks, and keyboards this time. Get ready for the third entry in the series when it hits this year. Golden Sun: Dark Dawn is coming out on November 29, according to a recent press release from Nintendo. This comes after the game's suspicious absence in Nintendo's fall release date press release. The two models of the DSi are set to take a price plunge in just a few weeks. Nintendo has announced plans to drop the prices of the Nintendo DSi and Nintendo DSi XL systems on September 12. The DSi will fall from $169.99 to $149.99, and the DSi XL will fall from $189.99 to $169.99. The DS Lite will remain at an MSRP of $129.99. 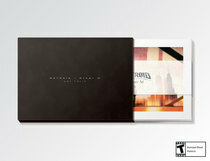 The $70 package includes the game, a figurine, a behind-the-scenes DVD, and more. Disney Epic Mickey is getting the collector's edition treatment according to a recent listing by Toys R Us. 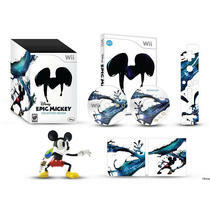 The package, retailing for $70, includes a copy of Disney Epic Mickey for Wii, a 5-inch Mickey figure, a DVD with behind-the-scenes footage and more, a stylized Wii Remote faceplate, and a pair of Wii console skins. The watery puzzle game will be revealed at PAX next week. Nintendo's official website has been updated with a game page for Fluidity, a "water action" title for WiiWare. Rising Star Games has announced a contest where they will give away copies of their upcoming Nintendo DS title. Art Academy has gone beyond and above Nintendo's expectations. Nintendo’s Art Academy has turned out to be quite a hit in Europe, with the game topping the DS charts for two consecutive weeks thus far. The game also sits at number six in the All Formats Top 40 in the UK, despite it seeing supply constraints. Sales plummet as Obon comes to an end. Last week saw many games with large sales increases due to the mid-summer Obon holiday, but this week was quite the opposite. All of the games in this week’s top 20 had decreased sales, whether by a few hundred units or a couple of thousand. After teasing gamers for months, MTV and Harmonix have finally unveiled the complete song list for their upcoming Rock Band 3. There will be 83 songs in total, featuring acts such as Lynyrd Skynyrd, Queen, Def Leppard, and INXS. The fifth generation of Pokemon is a big success in Japan, and it hasn't even been released yet. According to Japanese gaming site Online Player EX, Pokemon Black and White has broken records for the fastest selling Pokemon title in Japan. While the games are yet to be released, pre-orders have already surpassed the 1,000,000 mark.Pokemon Black and White will be released in Japan on September 19. In addition, Team Ninja confirms that the game lacks Samus's Gravity Suit. In a segment of Iwata Asks, members of Team Ninja stated that Metroid: Other M will come on a dual-layer DVD disc in order to hold the game's cutscenes and additional content. At times the cutscenes were shaved off in length by seconds to fit them all on the disc. DSiWare dominates this week's update, which also features a Virtual Console game. The popular tower defense title will get a DS port in 2011. According to a Twitter post by PopCap's PR representative, Laurie Thorton, the company is working on a DS port of Plants vs. Zombies, a critically-acclaimed tower defense game in which players must strategically place several plants in order to fight off an army of zombies. The original title was released on the PC on May 5, 2009 via Steam and has since been brought to other platforms. The Nintendo president discusses the challenges developing the latest game in the Wii series. In the latest edition of "Iwata Asks", Nintendo President Satoru Iwata talked to the development team of Wii Party, the latest game in Nintendo's Wii series. The team is composed of Hiroshi Satou and Miyuki Hirose, both part of the Development Planning Division, Shuuichirou Nishitani, Nd Cube Engineering Development Division Manager, and Jun Ikeda, CEO of Nd Cube. Make some popcorn; we've got a flood of Other M in-game footage for you. On second thought, nix the popcorn and start watching these gameplay clips. While they reveal what are mostly familiar environments for the Metroid franchise, it is exciting to see them played out with Other M's flair. Look forward to more videos and coverage as we approach the game's August 31 release date, and be sure to check out the newly-redesigned official website! GameStop customers will enjoy a nice extra with their Other M.
Those who pre-order Metroid: Other M from GameStop will receive an exclusive 16 card art folio. This bonus will be available to both online and in-store purchasers. As is to be expected, we have only a partial view of what one of these cards will look like. The image provided does not include a reference for how large the cards will be either, so whether these are the size of a postcard or a postage stamp is unknown. Commercials show off both action and drama sides of Samus' latest adventure. UPDATED. Two commercials for Metroid: Other M have been posted to the official Japanese Metroid website. The first features several cutscenes relating to Samus' past, including scenes not shown until now. Our Japan Correspondent, Matt Walker, has translated the first trailer, which you can watch below.